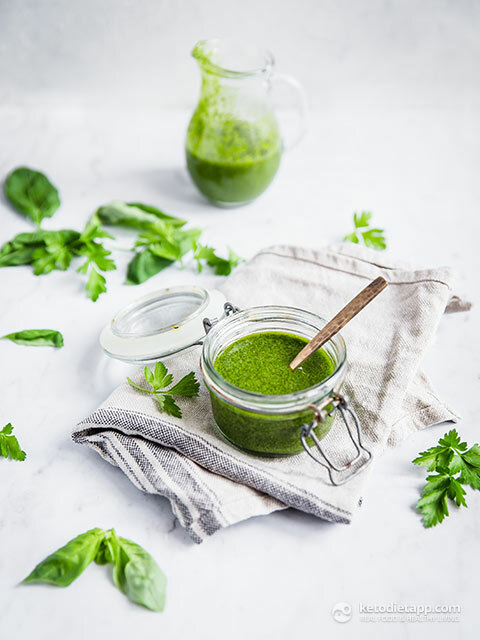 I usually make up a different kind of dressing, or sauce or dip each week which I use to dip veggie sticks into, drizzle over salads, toss through roasted vegetables or use as a marinade for proteins. 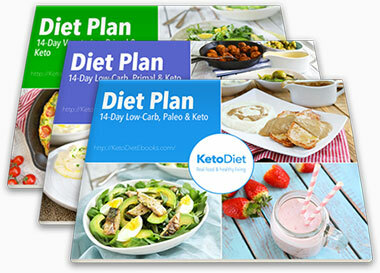 It’s a great way to mix up flavours and can completely revamp any go-to meals that are starting to feel a bit tired. 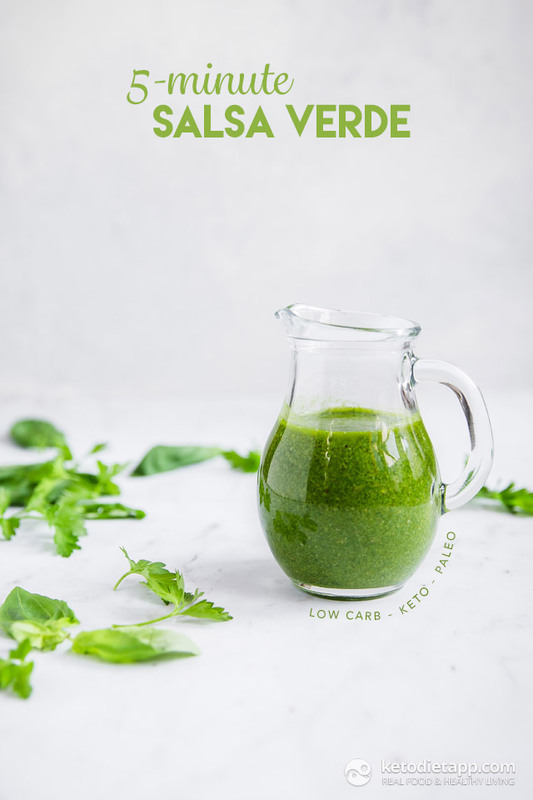 This Italian-style salsa verde would easily be one of my favorites due to its simplicity and adaptability. 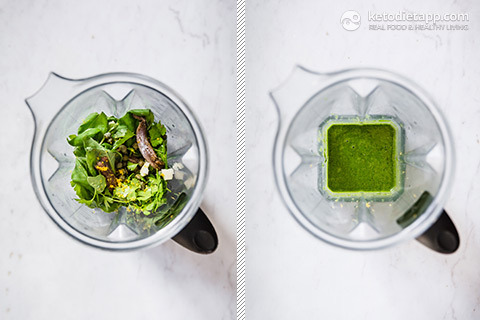 The flavours are a mix between a pesto and chimichurri, with a beautiful, creamy texture. 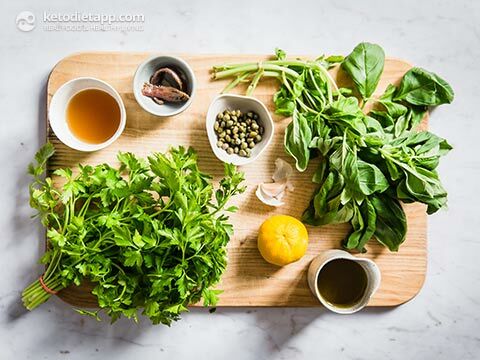 If you want more of a Mexican flavour, swap coriander (cilantro) for the basil, and add in a small chilli. I add anchovies for flavour and saltiness, but if you choose to omit, you’ll need to add in some extra salt to balance out the sourness of the lemon juice and vinegar. Roughly tear the leaves off the basil and parsley stems. It doesn’t matter if you get a few stems in as well, they will all blend up. 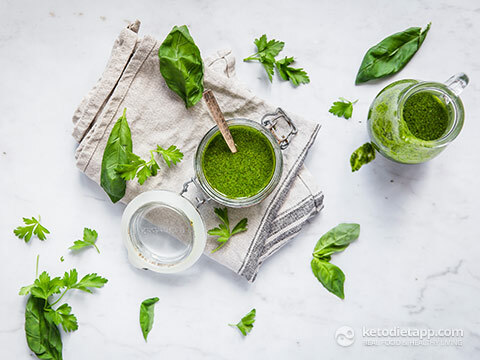 Add the herb leaves to a high-powered blender with the remaining ingredients and blend at medium speed until all of the ingredients are combined, about 15 – 20 seconds. Taste, and add salt and pepper if required. Store sealed in the fridge for up to a week.